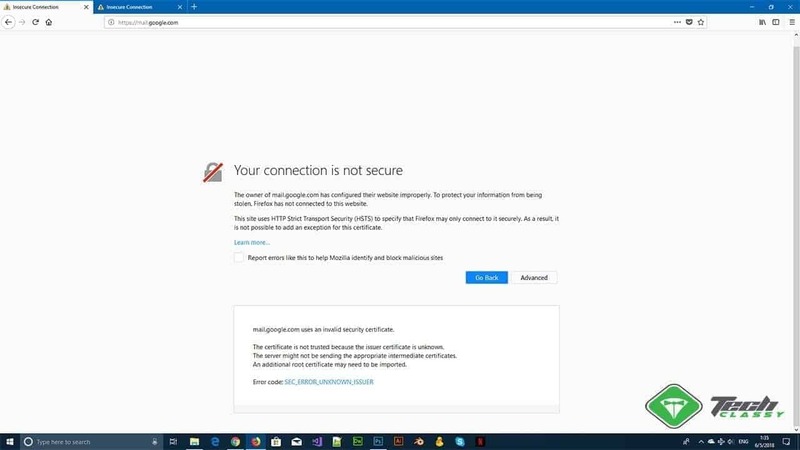 Some users are facing an secured connection error on Mozilla Firefox while visiting https websites. To fix that https error SEC_ERROR_UNKNOWN_ISSUER, you can follow the guides from this article. The main reason behind this error is your antivirus program or firewall. Your firewall or other security programs may scan https connection, it may give you a false positive result or interrupt you visiting a few https sites. For example, I was not been able to visit Gmail from Mozilla Firefox due to the error SEC_ERROR_UNKNOWN_ISSUER. It was too annoying. I tried several methods to get rid of it and at last, I ended up solving the problem by tweaking a setting on BitDefender total security. If you already have been encountering this problem, the below sections of this article are for you. Now, You will get step by step instructions to fix this problem. It should be the first solution to your problem. In many cases, BitDefender, Avast, Kaspersky security program’s scan SSL feature cause this problem. So, You should tweak a setting on your antivirus and see if it fixes the issue. To do it, follow these instructions. First of all, Open it. Now, Go to Web Protection and disable Scan SSL. Then, Go to Menu > Settings > Components and click Customize next to Web Shield. Now, Uncheck Enable HTTPS Scanning. Then, Click on Gear icon to open Settings. Now, Go to Additional > Network Settings. Check “Do not scan encrypted connection. By this way, You can disable SSL scan feature. It will solve error code: SEC_ERROR_UNKNOWN_ISSUER. Other antivirus programs also may have similar features. You will just need to figure it out and solve your problem.